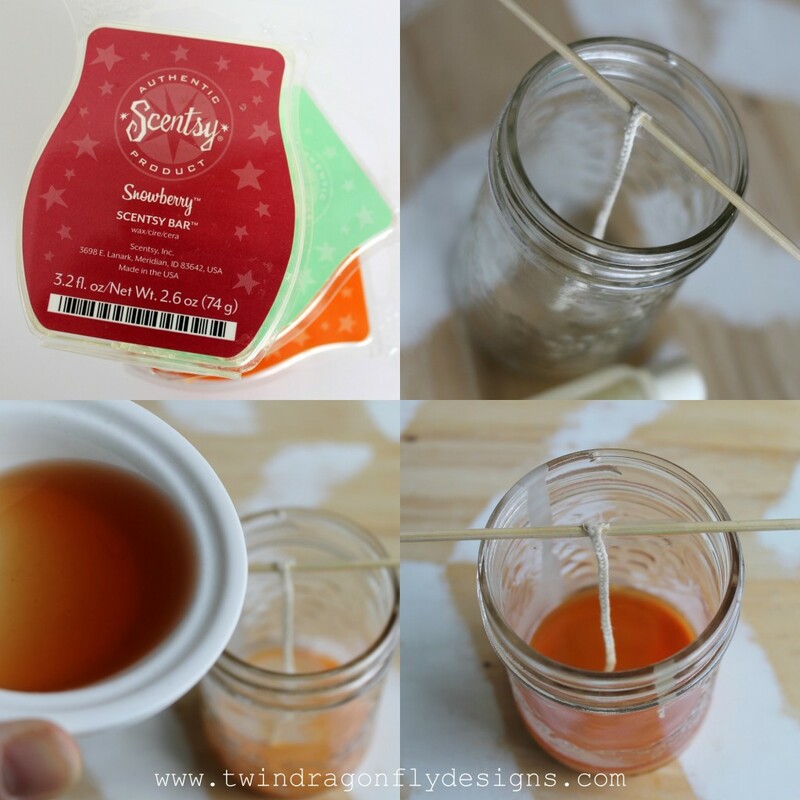 I am so excited to learn this DIY Scentsy Candle trick from my contributor, Heather, because I am a BIG fan of Scentsy, and have the small plug ins all over my home! 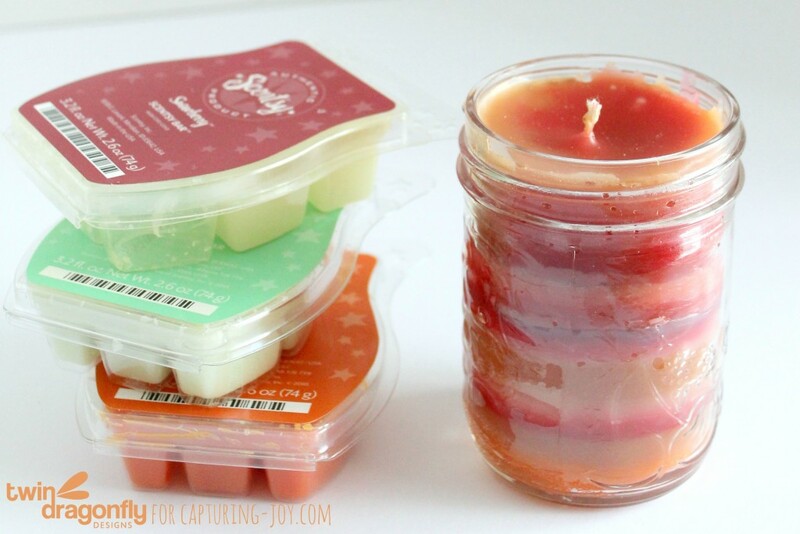 Do you love Scentsy wickless candles? Don’t let the wax from your Scentsy bars go to waste when they lose their scent. 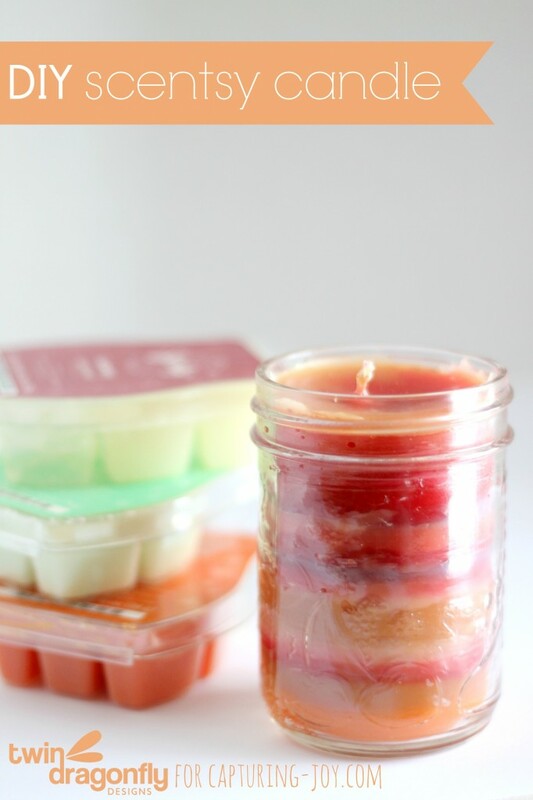 Create a DIY Scentsy Candle with just a few supplies and easy steps. I love making beautiful projects with something that would have otherwise been discarded. This little mason jar candle took me about six months to fill as I only use my Scentsy warmers once a week or so. I kept the jar in the same place that I store my Scentsy bars for easy filling. I love how it turned out with the layers of colourful wax. And it actually smells great too! If you would like to add more scent to the candle you can purchase fragrance oils from Micheals. 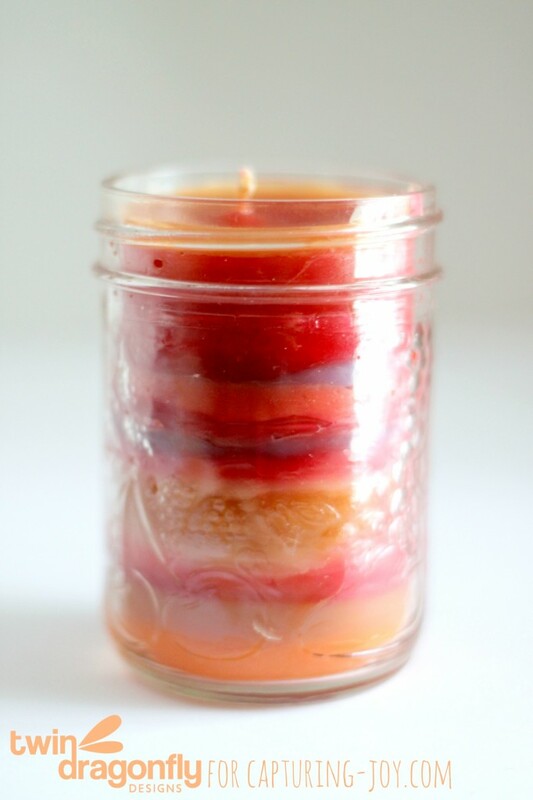 Add the oil to this DIY Scentsy Candle to give it more fragrance or extent the life of your Scentsy wax by adding a drop to the melted wax in your Scentsy warmer. Edited to add: be sure to use caution when burning candles. Always use in a well ventilated area and never leave unattended. 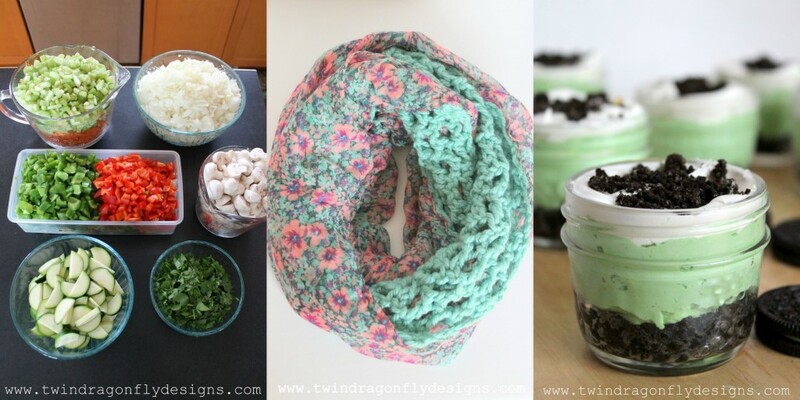 Please stop by Twin Dragonfly Designs for more craft tutorials, DIY projects and recipes.